One of golf’s perennial “most powerful people” is in transition from one of golf’s most powerful jobs to a new challenge. Former World Golf Foundation (WGF) CEO Steve Mona left that position at the end of 2018 to take the helm as executive director of We Are Golf (formerly Golf 20/20) and senior advisor to new WGF CEO Greg McLaughlin. Mona’s first order of business at We Are Golf – a coalition of the game’s leading associations and industry partners (including GCSAA, of which Mona was CEO for nearly 15 years) – will be the 12th annual National Golf Day, set for Wednesday, May 1 on Capitol Hill in Washington, D.C. 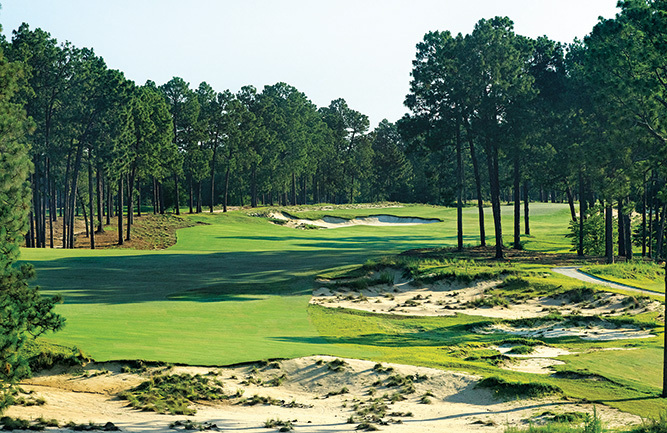 The day highlights for legislators golf’s $84.1 billion economic impact, nearly $4 billion in charitable giving and its many physical and environmental benefits. Many of golf’s leaders will arrive in Washington April 29 for a participatory service project on the National Mall. Those same leaders will meet with members of Congress, the executive branch and federal agencies. “I will be retiring on March 1st,” Mona told Golfdom, “and then also on March 1st, I will become an independent contractor with a consulting arrangement with the World Golf Foundation, specifically to run We Are Golf, which is one of the three divisions of the World Golf Foundation. “I’ve committed to whatever it takes to get the job done and I’m committed to 100 percent of the results,” he notes. He will “have access” to WGF resources and personnel and will have an office. “If you didn’t know it was different,” he says, “you really wouldn’t see a big difference.” His commitment to his new role runs through the end of 2020, although he has an option that would take him through 2021. Though Mona doesn’t directly say the word “retirement,” he mentions that the plan is for an assistant who would eventually take on his responsibilities. 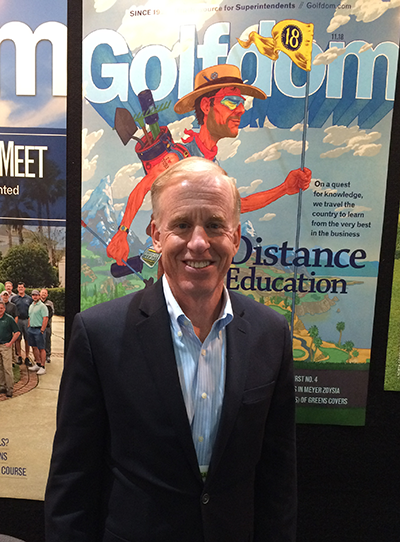 As for progress made for the game of golf in his last year as WGF CEO, Mona points to — not uncharacteristically — three items, including “an expansion and a rejuvenation” of Get Golf Ready, the industry’s adult player initiative, with a relaunch of the program’s website, and an expansion of the number of facilities involved with the effort. He mentions National Golf Day as the third leg of 2018’s progress triad. Mona also sees 2018 as a continuance of the stabilization in golf of the last few years. “I use two words to describe it,” he says, “and they are ‘stable’ and ‘evolving.’ If you look at golf’s consumer base, it’s about 24 million people, but of that number, 20 million — or 19 and a half – are ‘committed to the game,’ and they’re not going anywhere. They do 95 percent of the spending and play 95 percent of the rounds. We’ve seen a stabilization of this group, and golf’s core is really quite stable. The evolving part is where the growth will come from. “Golf used to mean 8 o’clock on a Saturday morning at a private club with your regular foursome,” he notes, “wearing steel spikes, khaki slacks, shirt tucked in, hat facing forward. Now it could be 8 p.m. on a Saturday night at a Topgolf with flip-flops and cargo shorts, shirt untucked, hat on backward, beer in the other hand. It’s a golf experience. “Why is that important? It’s important because there are more pathways to the game now than there ever were before, because in the past if you were interested in golf there weren’t many ways to try the game. Now there are all these access points. You have Topgolf, you have Drive Shack, you have stand-alone ranges and simulators. Although understanding the interest in his transition, Mona sees this new period in his career as more of a logical flow.